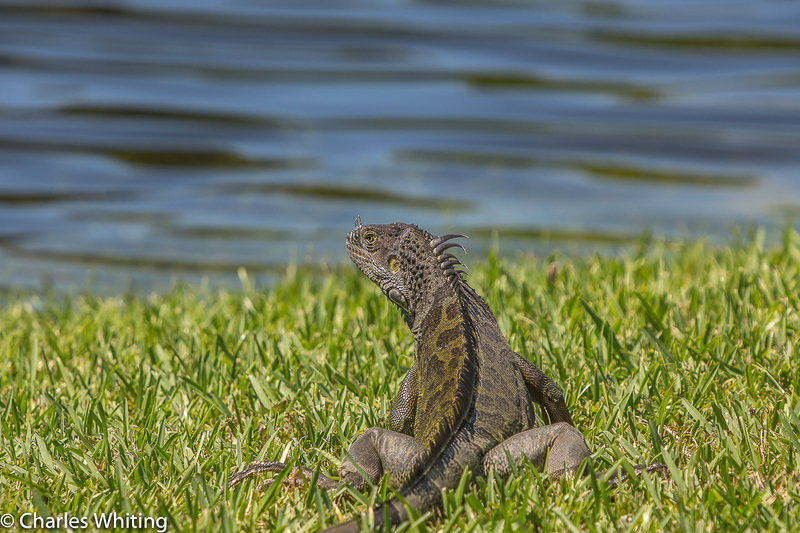 A Green Iguana prepares to flee or fight. Deerfield Beach, Florida. Photo © copyright by Charles Whiting.